Every Size Available With Best Quality To Satisfy Our Suppliers. • Maximum Order Quantity (+MOQ ) : 300 Pieces. • Protected with our Gloss Coat™ technology. We are amongst the most reputed names in the industry, offering Marble Cremation Urn. 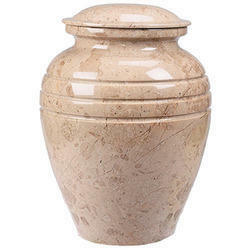 We are a top-notch organization, engaged in providing Marble Cremation Urn. 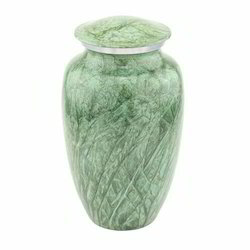 In order to meet excellent quality standards, we are supplying Marble Cremation Urn. Our reputed entity is engaged in supplying Marble Cremation Urn. Marble Cremation Urn is used in keeping funeral ash of our loved ones. Surface Finish: Honed, Polished, etc. This marble Matka is known as Urn also. It is finely colored, finished and polished thus it looks quit stunning. This matka is acclaimed for its exquisiteness and strength. Please contact us if interested.